At 10pm on July the 19th Banglamung police rushed to a party on Sukhumvit Highway near Mit Mongkol Company where shots had been fired. 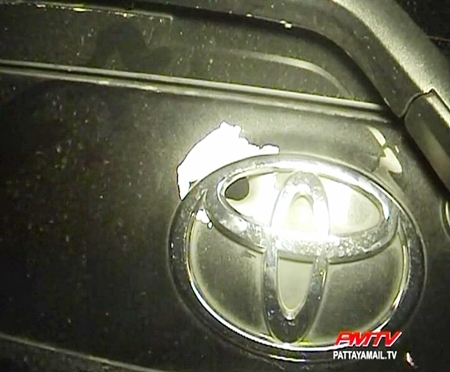 At the scene over 100 local people and politicians were in attendance and witnesses stated that a group of men on motorbikes had fired some shots at some cars parked on the side of the road, one of the cars belonged to Sakol Polluk-in, a key local politician. Many cars were damaged by the shooters but luckily nobody was injured in this politically motivated attack. 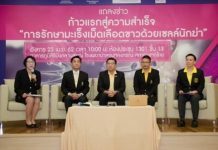 Sakol said he and his brother Nakorn Polluk-in, were hosting the thank you party after the Rao Rak Pattaya group had recently won a seat in the Pattaya city council. 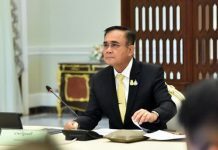 The leader of Pattana Banglamung group Jarewat Chinwat who was also thanking his supporters at the party thought that the shooting may have been provoked from the political competition in the area where his group had been given trust by the people and won many seats in political circles for the past few months. Police didn’t find any bullet shells but believe it was related to political differences.